''Religious Leaders that get involved in partisan politics risk losing public respect'' - President Buhari - SWANKYLOADED OFFICIAL BLOG. President Buhari today advised religious leaders not to get invovled in partisan politics otherwise they would lose public respect. 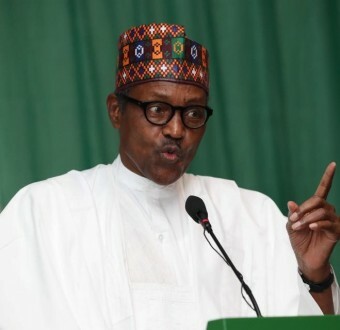 President Buhari gave the advise while delivering his speech at the Interfaith Conference held at Sheraton Hotel, Abuja. The event, which had as theme 'Religious Harmony in Nigeria' Towards the 2019 General Election' featured the presence of religious leaders, including the Archbishop of Canterbury, Justin Welby, as well as former Heads of State General Yakubu Gowon (rtd) and General Abdusalami Abubakar (rtd).